Procter & Gamble (NYSE: PG) and Unilever (NYSE: UN) . These companies make products that people all over the world use every day, and both are good dividend payers. Procter & Gamble is the home of household products like Tide, Gillette, Charmin, Crest, and Oral-B. Unilever's brands include Dove, Lipton, Breyer's, and Ben & Jerry's, as well as several international brands. Data source: YCharts. TTM = trailing 12 months. First, note that both companies are similar in size based on annual revenue. Despite this size, P&G has significantly more cash on its balance sheet, generates more free cash flow, and makes enough operating income to cover its interest expense 48 times. Data sources: YCharts and Yahoo! Finance. Unilever wins on every measure. Not only does the stock sport a lower valuation, but the company is also expected to deliver higher earnings growth than P&G going forward (more on that below), which is why Unilever sports a lower PEG (price-to-earnings growth) ratio . P&G has spent the last few years simplifying its product. portfolio and cutting of unnecessary costs to improve performance. These moves have improved margins, but it's also a management opportunity to focus on investing in the products that have the best growth prospects. However, the grooming segment (10% of total sales) has faced mounting competition from niche brands that are offering quality shaving products at prices that undercut P & G's Gillette fire. As a result, organic sales in the grooming segment declined 3% year over year in the last quarter, and net earnings for the segment fell 11%. 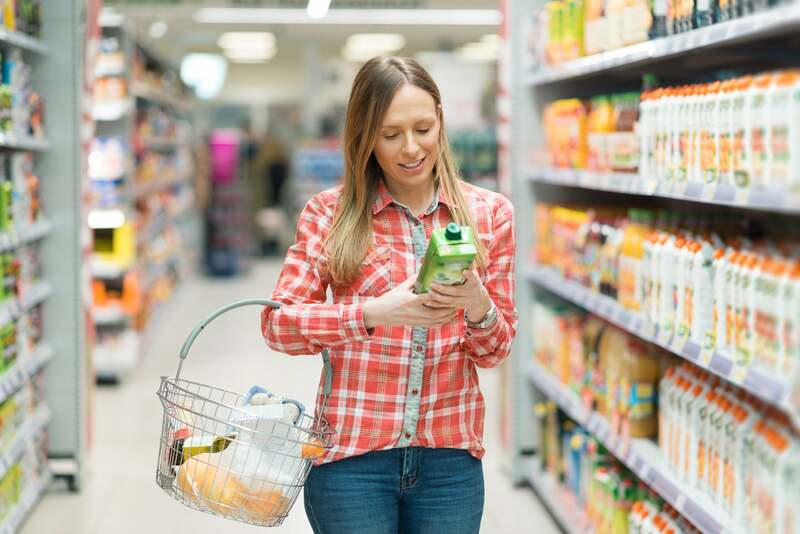 Regardless, with most categories hitting their stride right now, management expects fiscal 2019 organic sales to rise between 2% and 4%, and for adjusted earnings to increase between 3% and 8%. Looking further out, Wall Street analysts expect to earn 6.5% per year over the next five years. On the other side, Unilever has experienced solid results as well. Adjusted sales growth (excluding currency) increased by 3.1% in 2018, and that translated to adjusted earnings growth of 12.8%. These results were driven by growth across all product divisions: beauty and personal care, home care, and foods and refreshment. As for guidance, management is calling for 2019 adjusted sales to increase the lower end of its long-term goal of 3% to 5%. Analysts expect to grow faster than P&G at 9.3% annually over the next five years. Both companies are performing well, but P&G is at a slight disadvantage having to nurse the struggling grooming segment. Meanwhile, Unilever's fixed roster of products seems to be at full strength, and with management calling for slightly faster top-line growth in the short term, it has the edge here. And there you have it. I don't think investors can go wrong with either stock. P&G is stronger financially, but Unilever edges out P&G on valuation, dividends and growth expectations. I would go with the maker of Ben & Jerry's.